Peugeot-Abu Dhabi Racing Team driver Sheikh Khalid Al Qassimi was confident of playing catch-up with the rest of the field after finishing fourth best at the end of the Yas Marina Circuit Stage at the 2018 Abu Dhabi Desert Challenge on Sunday. Al Qassimi, who is defending his title this week, had finished at the top of the drivers’ list with a quick time of 1:11.1 minutes during the 1.9 km Super Special Spectator Stage on Abu Dhabi´s Formula 1 racecircuit, held at the Yas Marina Circuit on Saturday. "After 120 kms we lost track, followed a wrong course and lost precious time"
However, as the cars, bogies and bikes headed out into the punishing Al Dhafra desert, it was Sheikh Khalid who was among the first to err as their Peugeot Abu Dhabi Racing Team 3008 DKR car strayed off-course. 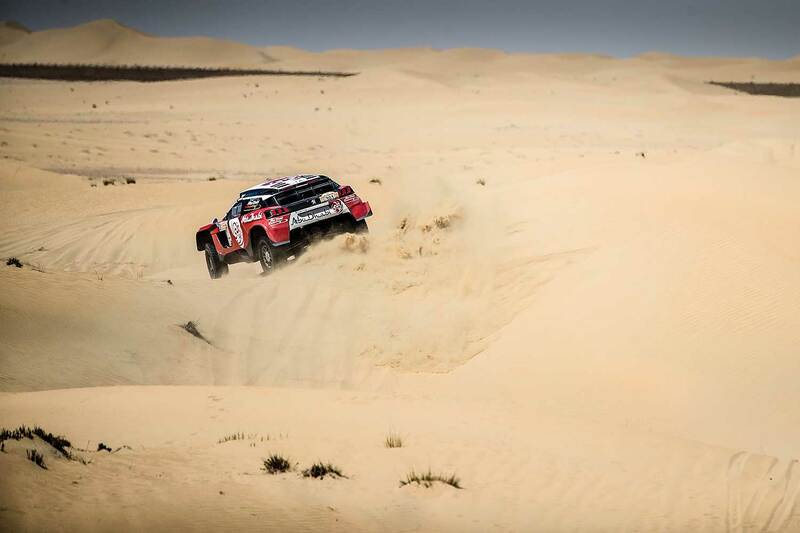 Ultimately, it was before some time that Sheikh Khalid, co-driven by Frenchman Xavier Panseri, managed to get back on the course in an attempt to chase down the front pack of drivers. "It’s been a tough day. 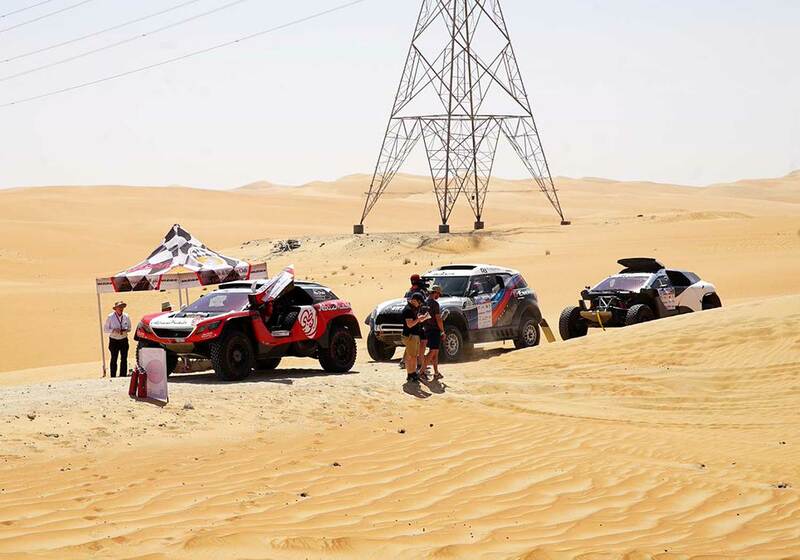 After 120 kilometers we lost track and followed a wrong course in which we got delayed and lost precious time," Sheikh Khalid related after he returned at the end of SS01. "Before the end of the stage with around 70 km still to go, the sand dunes were like the ones during Dubai International Baja. This is not too much to our liking as the dunes are short, and hence does not fit much with the nature of our car." "It was a difficult day for us but the rally is still long and the gap is not big. Our task now is to try and compensate and make as much progress as we can in the remaining four stages," he added.